So you have taken the plunge into 21st century dating and downloaded the popular matchmaking app Tinder (or similar). After uploading a flattering image of yourself, nearly dislocating your phalanges thanks to hours spent swiping left or right, flicking through profiles, you’ve finally seeing those magical three words - “It’s a Match” - appear on your screen. You are now faced with the prospect of meeting a potential partner/hook-up/cuddle buddy in the non-filtered flesh. And while we are probably not too far away from having the option of holographic likenesses meeting up in digital spaces as a first date option, at the moment, you still have to resort to anxiety–inducing real-world face-to-face rendezvous. 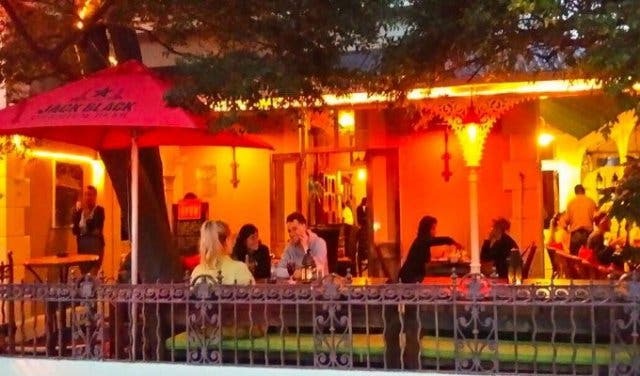 And that’s where we come in; not only have we rounded up a selection of carefully considered first date spots in Cape Town, but we’ve also added some reasons why the venue or activity will be ideal for an initial encounter. 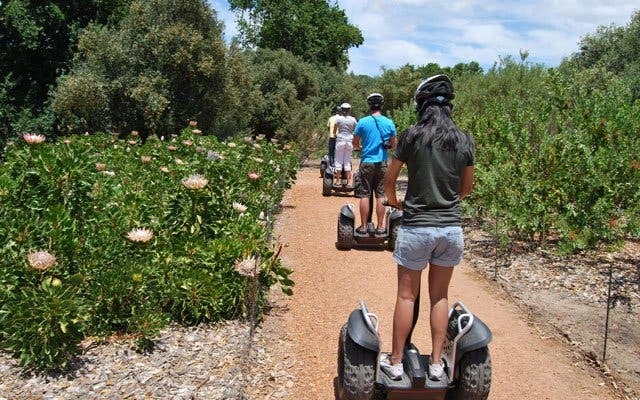 From fail-safe java places and eateries to outdoor walkways and unconventional wine farm tours, this overview includes a little something for everyone. Swap the tried-and-tested dinner-and-movie date that, like questionable hairstyles, reached its peak in the 90’s for supper and a show. Our recommendation? Stardust Restaurant’s theatrical dining experience. 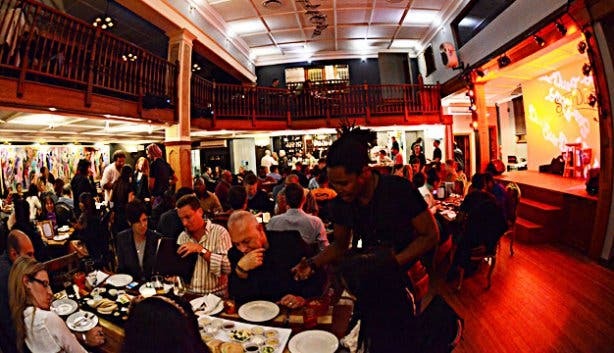 Situated in the trendy Cape Town area of Woodstock, the eatery serves delicious Mediterranean and North African–inspired dishes and is known as the ‘home of the singing waiter’. 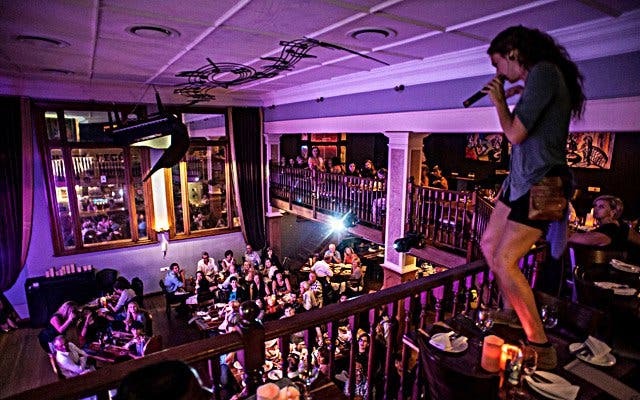 What this means, of course, is that the restaurant’s servers double up as the evening’s entertainment by taking the stage to perform a number of popular hits. What’s more, thanks to these regular performances, you will have the opportunity to think of a new topic of conversation if you are struggling with the small talk. Not to mention, if things go well and a relationship blossoms, you and your partner can pick one of the waiters’ performances as ‘your song’. Watching the sunset can be so cliché, and even though many still love the idea why not try an old-time favourite mixed with something a little more new-age? 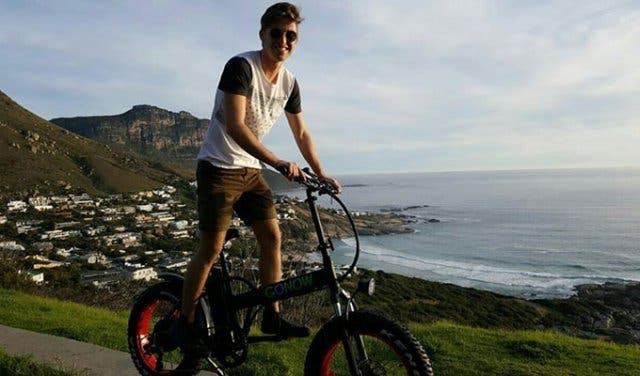 GONOW Electric Bicycles is perfect for the adventure-seeker mixed with a hint of romance. The sunset trip runs everyday and begins at 253 Regent Road in Sea Point, heading over to the well-loved Sea Point Pavilion, riding along the beach through to Bantry Bay, stopping along Sea Cliff Road for one of the four to five photo opportunities. The group will then continue through to Green Point and turn around into the sunset at Mouille Point. What’s more is that CapeTownMagazine.com readers get 50% off every Sunday and Thursday! 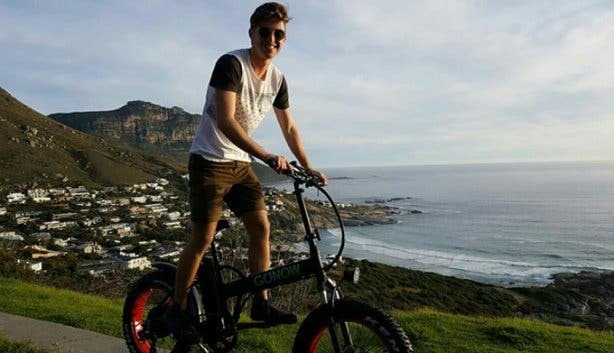 Booking is essential and can be done by calling Bradley on +27 (0) 64 393 8231 or email info@gonowelectricbicycles.co.za. Opening times: The one-hour tour departs at 9am, 10:30am, 12pm, 1:30pm or 3pm daily; the two-hour option starts at 9am, 12pm or 3pm daily. 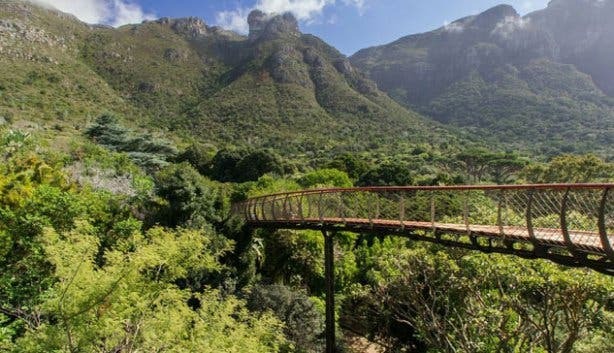 For a significantly cheaper, but by no means less spectacular, outdoor date, you can opt for a scenic stroll along Kirstenbosch National Botanical Garden’s treetop canopy boardwalk. Naturally, you don’t have to be a botanist a la Beatrix Potter to enjoy a gander on the ‘boomslang’, as it is affectionately known. Shaped like a snake’s skeleton, the path twists and turns upwards between the gnarled trunks before it ascends out of the leafy canopy in a graceful twist. What this means, of course, is that you can depend on the vast beauty of the surroundings to inspire you and keep the chit-chat flowing. Not to mention, you will probably get massive kudos for coming up with a non-traditional date idea. Of course, you may as well take advantage of being surrounded by splendid flora and pack a picnic to indulge in after your scenic walk. 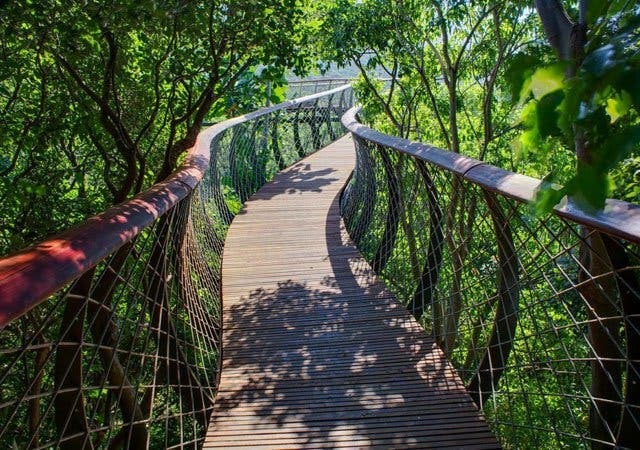 Use of the treetop walkway is entirely free; however, you will still have to pay the standard Kirstenbosch entrance fee at the gate: R45 for adults and R25 for students with a student card. For a meander of a different kind, consider taking your date on a canal cruise at the tourist mecca, The V&A Waterfront. 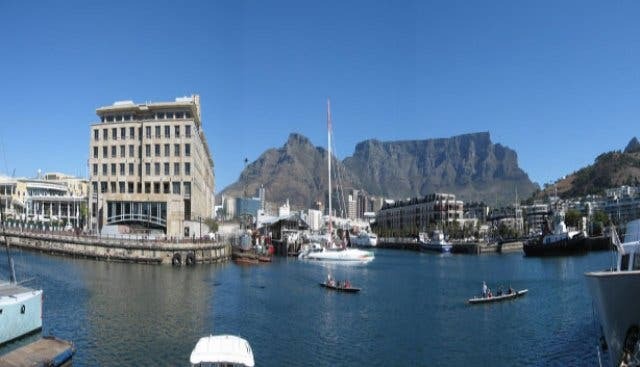 For just R40p/p (hello, bargain) you can take a laidback and scenic trip on the waterways surrounding the shopping hotspot and cruise to the city centre and back again. The ‘hop on hop off’ tour will take you via the swanky One&Only Hotel, Harbour Bridge Hotel & Suites and the Two Oceans Aquarium. 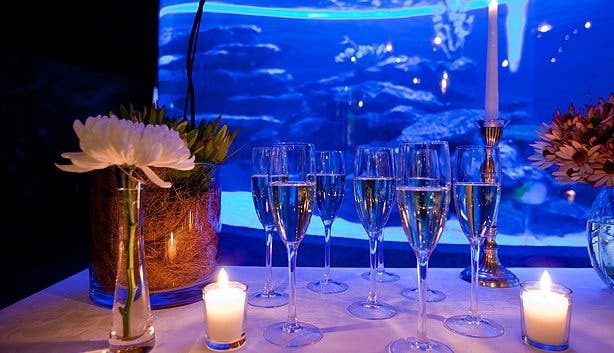 And if all goes well, you could perhaps visit the latter-mentioned underwater attraction as the ‘part 2’ of your date. A truly magical experience, the wonderland features species that are completely unique to our coastlines. And while sequels are notoriously worse than their predecessors, we have no doubt that both experiences will be smash hits. Over the last few years neighbourhood markets have become trendy hotspots and thus could be a viable option for a first meeting. Our recommendation? The Blue Bird Garage Food and Goods Market in Muizenberg. The Friday-only venture boasts steampunk jewellery, second-hand books, elegant parasols, edgy artworks and so many other bits and bobs, which means that, if you and your date gravitate towards the same items, it could reveal common interests. 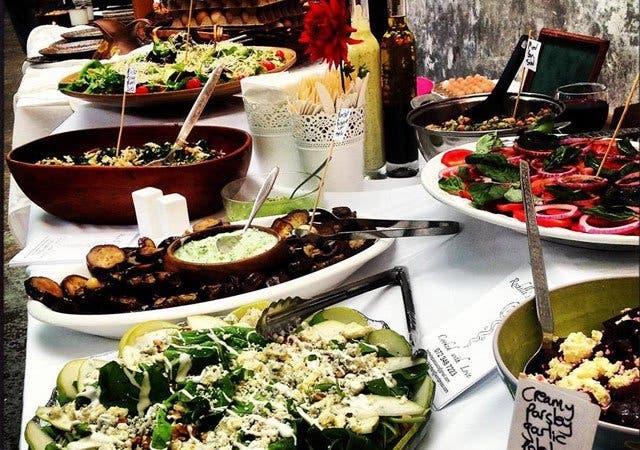 What’s more, on the culinary side, there are cupcakes, thin-based pizzas, freshly sliced biltong, sushi, and smoothies amongst other tasty treats available, so that means that you aren’t restricted by a set menu when it comes to choosing grub for the evening. Not to mention, if things are a going a little pear-shaped, you can disappear in amongst the crowds and make a hasty getaway (we feel bad about recommending this, but we wanted to be thorough). If, after chatting and flirting on Tinder’s convenient messenger platform, you deduce that your potential sweetheart has similar artistic inclinations to you, perhaps an art class at the Bright Day studio would make for a fitting first date - it’s an excellent way to make a good first impression(ist). 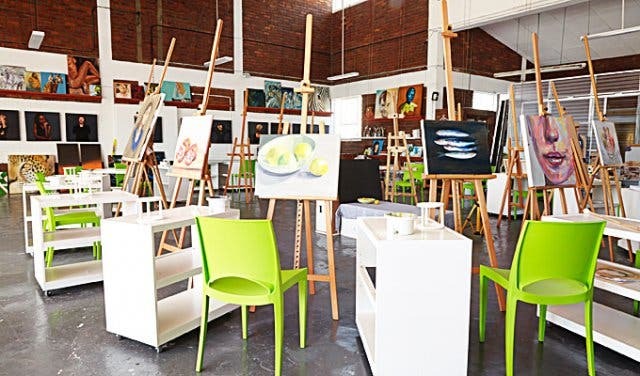 The Woodstock-based spot offers everything from life drawing lessons to impressionism tutorials. Not to mention, Bright Day facilitates a chilled and unpretentious atmosphere, so neither you nor your date will feel self-conscious while participating in the lesson. And, if a fully-fledged relationship blossoms, maybe you and your partner can re-enact the famous scene in Titanic where Jack draws Rose like one of his French girls. Unlike the different and adventurous options we have suggested, sometimes a fabulously romantic restaurant will put you in the right mood for a first date. Think cocktails, red dim lighting and the perfect vibe to get you in the romantic dating mood. The variety of cocktails will give you ample choice for those awkward 'getting to know each other' questions. 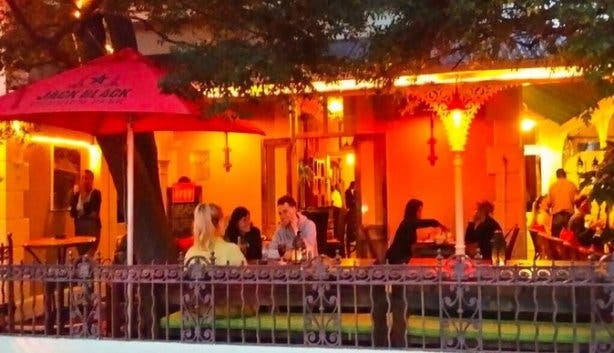 The orange backdrop of the lamps and slow casual music in the background is the perfect way to impress your partner- especially because it'll make you feel like you've walked into Casablanca with the interior design and style of the classic movie. Also, we shouldn't forget to mention that the food will let you enjoy those awkward silences because it is so delicious! Sometimes, being cheesy pays off so, take the chance and get a bottle of wine after those cocktails! Looking to spice up your relationship? 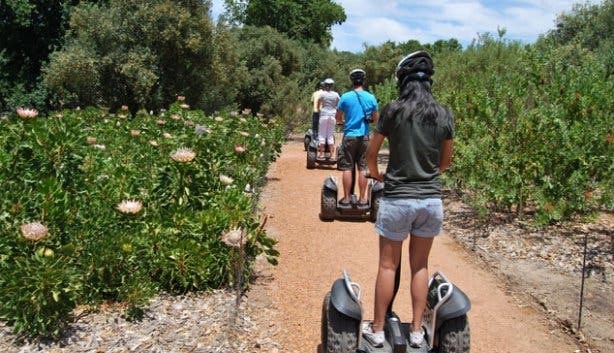 Check out our overview of places to get it on in Cape Town.